V5 brings a much needed upgrade to Vampire: The Masquerade, brining the core themes to Vampire back to the fore. The epic size of the book may be offputting to some but there is a lot of information to be found here. V5 is a fantastic system that updates Vampire: The Masquerade for the modern-day, whilst remaining true to the core themes of the game Whilst V5 may not be as revolutionary as when Vampire was first released, it is nonetheless major leap forward in system design; easy to learn but with limitless potential for new stories to be told in the World of Darkness. Mark Rein-Hagen revolutionised roleplaying games with the release of Vampire: The Masquerade in 1991. Until then, most roleplaying games were stereotypical dungeon crawls or laser battles amongst the stars. Instead, Vampire emphasised storytelling over combat and subsequently kickstarted the World of Darkness setting (later releasing Werewolf: The Apocalypse, Mage: The Awakening and many others). Since then, there has been the 2nd Edition and the Revised Edition of Vampire, before the series ended in 2004, with the Final Nights. It was then replaced by Vampire: The Requiem. 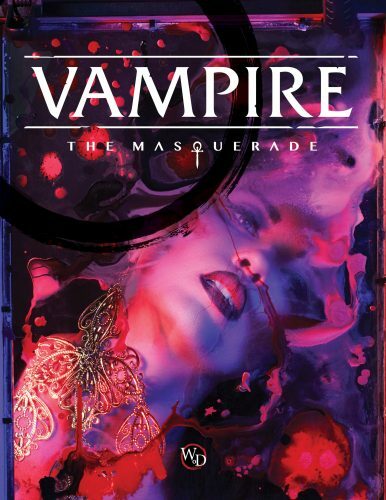 However, such was the enduring popularity for Vampire: The Masquerade, that a 20th Anniversary Edition was released seven years later, which proved to be incredibly successful. V5 is the latest version of Vampire: The Masquerade, and is a vastly different beast to the previous versions. Whilst previous editions revised the existing system, by adding new content and tweaking game mechanics, V5 is new system. It is still recognisably Vampire – the Clans and Disciplines are all there – but they have been updated for a new era in gaming. One of the most fundamental changes to the system is the use of blood. Unlike previous versions of Vampire, where the Blood Pool was tracked like magic points, there is now a single statistic called Hunger. This attribute impacts upon everything a character does, and the higher the number, the greater the impact, and the only way it can be reduced is through feeding. 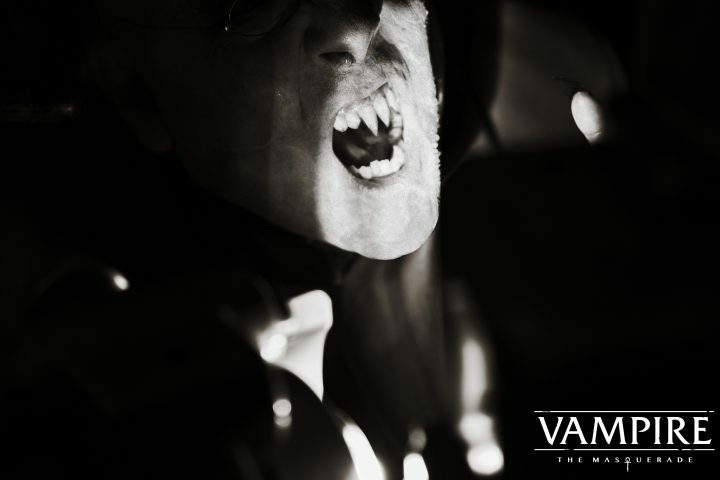 Rather than focussing on managing the amount of blood a vampire has, this shift towards a vampire’s need to feed both streamlines the process and brings to the fore the type of a creature that a vampire is. This example of one of such change to the rules exemplifies how Vampire: The Masquerade has changed. Although structurally it is far different to the previous versions of Vampire, V5 is conceptually far closer to how Vampire was first envisioned all those years ago. Some players might not like all of the new rules. For example, the mechanics for Thin Bloods feels long-winded, lacking the streamlined approach of the rest of the system. However, V5 has been structured in a modular fashion, meaning that some rules can be left out with little impact on the rest of the game. One of the downsides of this new system is that ongoing campaigns will not be able to be translated into the new rules and previous sourcebooks will naturally become out of date. Alongside the updated system, the ongoing metaplot of Vampire has been moved forward, and the setting has evolved. Vampires have once again become the hunted, with the rise of the Second Inquisition, the explanation of which is both glorious to read and makes fantastic sense. The presentation will undoubtedly find some storytellers wanting to run Second Inquisition games in the style of the classic BBC series Ultraviolet. On the subject of presentation, the artwork is glorious, and includes both painted and photographic images. Photography can sometimes have a distinctly amateurish tone, but these photos are particularly fantastic and evoke the nature of a modern-day vampire. Despite incorporating over twenty-five years of established backstory, V5 never becomes inaccessible to new players. This is due in part to the new rules system meaning that any players, both existing and new, would be starting a game afresh.